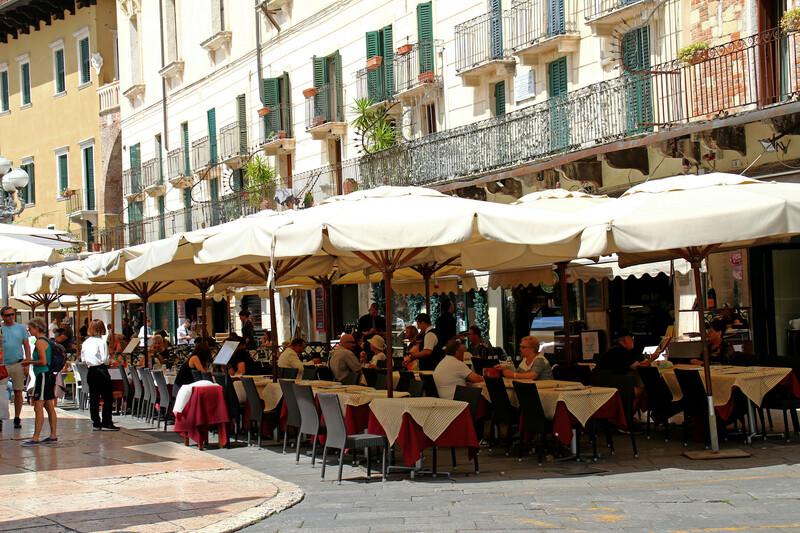 Peaceful outdoor cafe on the main square in Verona, Italy. This cafe picture I took in Verona, Italy captures people eating drinking, and enjoying a warm sunny afternoon. It gives a relaxing feeling.